Our main objective for this trip was to attend our grandson Aleister's birthday celebration. So after leaving the rally grounds, we made our third visit to Doll Mountain ACOE campground on Carter's Lake, Georgia. Loop one of this campground has some very nice sites with scenic views. There is only one real drawback to this location-steep roads. Both getting to the campground and the roads in the campground are steep and curvy. You can really get a workout hiking the campground without ever leaving the paved roads. We did get to talk with two of the three other rigs in the loop and had one uninvited visitor to our campsite. With a little urging, we parted ways with no injuries on either side. We then headed to our families home for the birthday party. My best guess is that Aleister had a good day and we were glad to have been there to enjoy it. It looks like you get a break when getting a spare in bowling on your birthday-and why not! 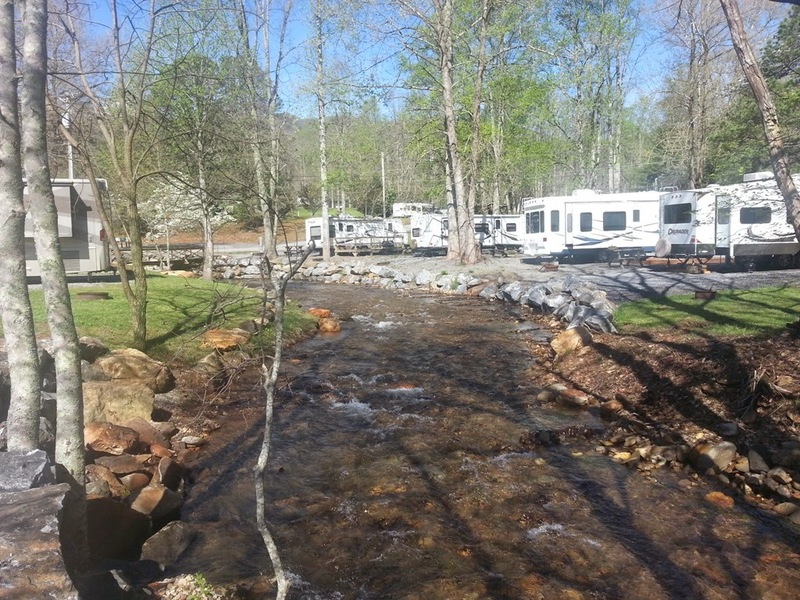 Our next planned stop was the Georgia state Winnebago rally being held at Bald Mountain RV Resort in Hiawassee, GA. Our main reason for attending was to visit with friends from our Ohio Winnebago club who were also attending. 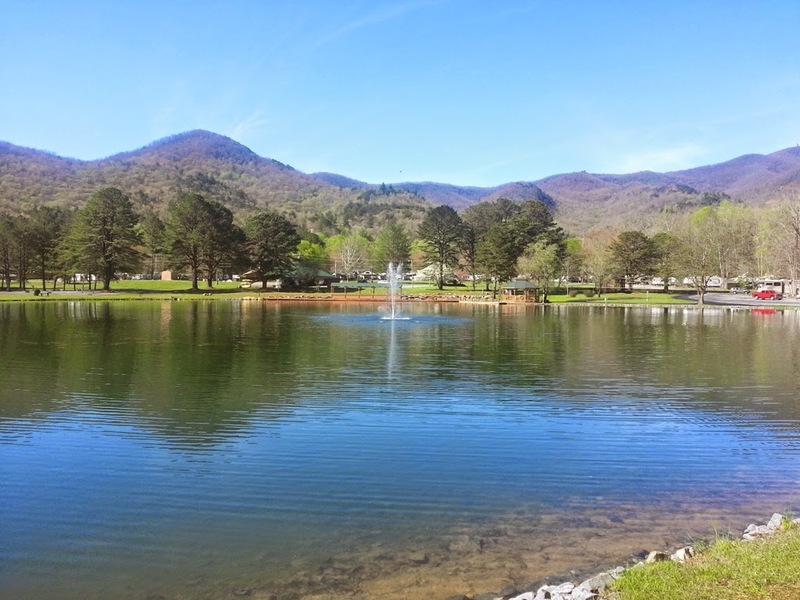 The resort is nestled in a valley surrounded by mountains, including the highest peak in Georgia. 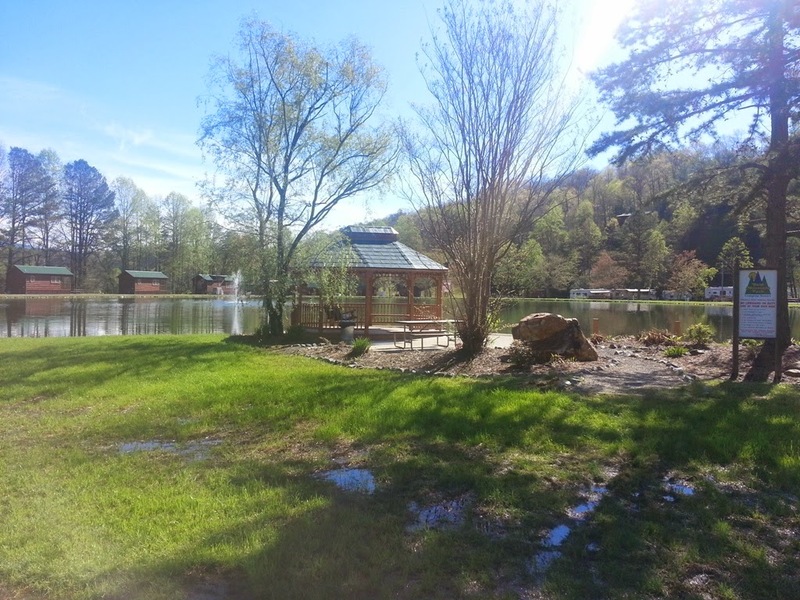 The Bald Mountain RV Resort was much larger than I was expecting with lots of campsites and cabins with large open areas for walking and hiking. There is a pool, miniature golf, and a recreation room. 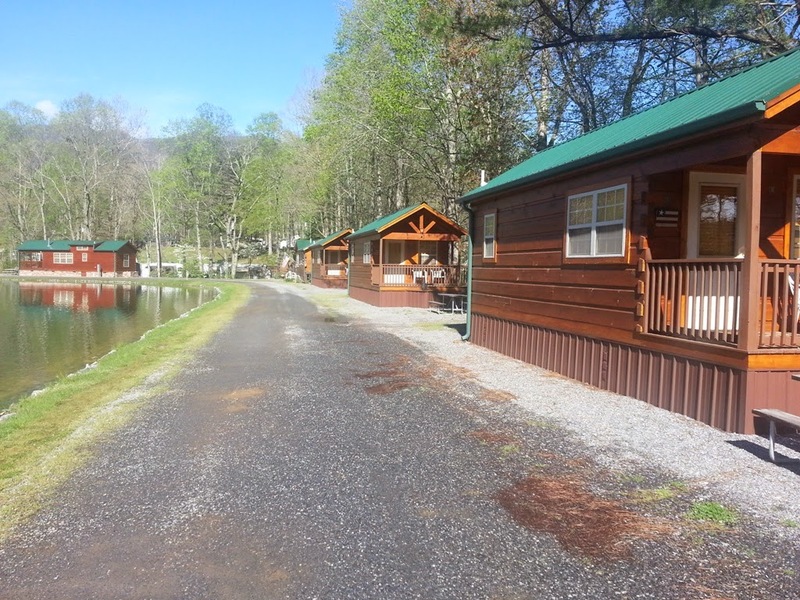 Full hooks with free WIFI, that actually worked, and free cable TV and if you like camp next to a mountain stream. There are sections for permanent and summer rentals and a rally area that will hold a large number of rigs. 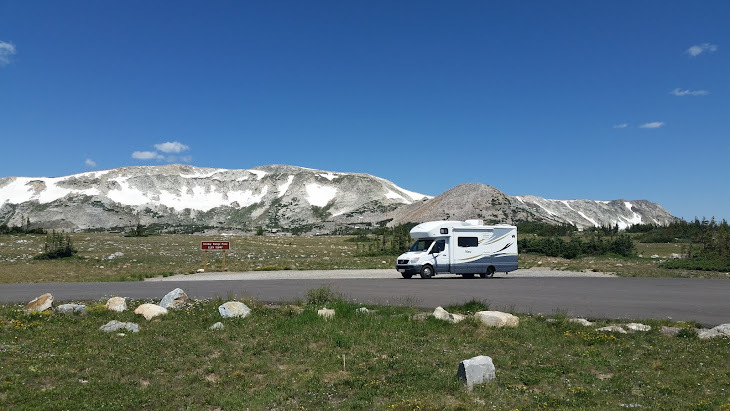 Our group was give or take 50 motorhomes. The rally itself was well organized and they provided enough food that we hardly ate in the motorhome for four days. As with most of our trip so far, the weather continued to be lots of rain and more rain and thunderstorms. Fortunately, the park had a very nice hall for the activities. While there were no ground breaking events, it was a lot of fun getting to meet more RV'ers from around the country. We were thinking of moving to a site on the creek for a couple of days, but with all the rain, the creek was starting to overflow, so we decided to stay where we were. All in all a great time and we certainly would return to this campground if we were in the area. While at the ACOE campground, we saw an ad for this museum in Cartersville, GA claiming to be the largest western art collection in the country. I certainly was skeptical about that after having been in many impressive such museums in the western states. We decided to head into town to check it out. When we arrived at the large parking lot loaded with school buses, it was clear this was a locally popular place. The museum was opened in 2003 and was a very impressive structure from the outside. We were to learn that is has 80,000 SQ FT of floor space. While I cannot vouch for the" largest" claim, it was a wonderful museum both in the quality of the art and other displays, but in the construction and layout of the building, as well. I can highly recommend it and we will be back again. The web site gives a really good summary of what you will find here.